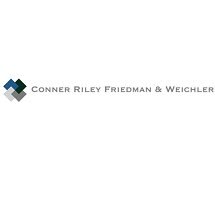 At Conner Riley Friedman & Weichler, our lead attorneys combine decades of trial and litigation experience with client-centered representation. We work closely with our clients to find solutions that protect their rights, interests and future. Personal injury: We handle all types of injury claims, including car accidents, truck accidents, defective products, property owner negligence and medical malpractice. Even if you do not think your injury is that serious, we invite you to contact us. A thorough evaluation could reveal more serious injuries. Workers' compensation: We help workers who are hurt on the job seek the benefits they are entitled to for lost wages and medical care. No matter what stage of your claim you are in, a lawyer's help can prove valuable. Criminal defense: We protect the rights of clients facing criminal charges ranging from DUI to federal criminal charges. Our attorneys have successfully won numerous jury trials in state and federal court. We believe that the best way to achieve a successful outcome is through extensive preparation as early as possible. For you, that means we will commit significant resources to investigate and evaluate your case before we even decide to take you on as a client. If we do take your case, we will be able to start from a position of strength. To learn more about how we can help you, call Conner Riley Friedman & Weichler in Erie today at 814-240-3339 to schedule a free consultation.